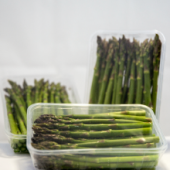 Green asparagus has been consumed for centuries, being renowned food since ancient times. Nowadays, more and more people are consuming it as it is linked with healthy-life styles due to its beneficial properties to our organism. It is high in potassium and low in sodium, characteristics that give it a diuretic power which helps eliminate excess toxins and liquids from the body. Research has demonstrated that its nutritional benefits prevent and treat kidney stones and urinary tract infections. Green asparagus contains fibre which helps cleanse the digestive system and lose weight as it is low in fat and calories. 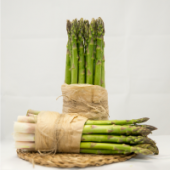 Green Asparagus is rich in potassium, vitamin A, folic acid and glutathione. Glutathione is an antioxidant which protects cells from toxins, providing a mechanism to prevent aging. Apart from glutathione (with its antioxidant and anti-cancer properties), green asparagus is high in folate which not only protects DNA from consequential damges, but also to prevent cancer, especially colon cancer. 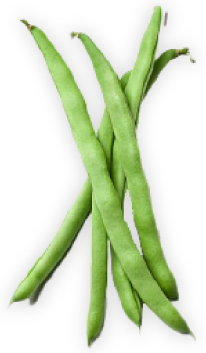 It has vitamin K that plays an important role in bone repair and formation. Several studies have demonstrated that it helps prevent osteoporosis and osteoarthritis. 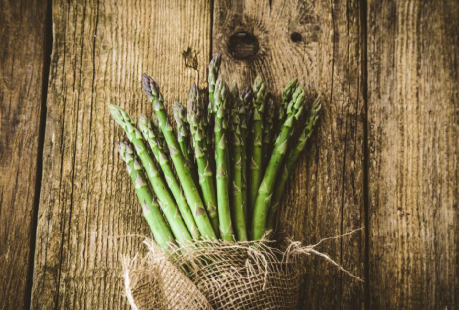 Moreover, green asparagus has additionally been identified as one of the main sources of vitamin K.
It stimulates the immune system strengthening the natural defences of our body. It fosters the production of white blood cells which protect our body and help to care for the skin as it activates melanin. It helps maintain the balance and health of the central nervous system and regulates the metabolism through the brain. It stimulates the regulation of hormones, strengthens the immune system and helps eliminate toxins from our body. Arginine improves blood circulation and enhances male libido in a positive way. It protects skin collagen and elastin maximising its regenerative capacity. Furthermore, it eliminates skin spots and fights acne. 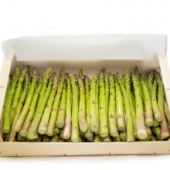 Green asparagus is a versatile vegetable to cook. There are different ways to cook it: fried, steamed, boiled, grilled, broiled, roasted, in soup, etc. From our point of view, our recommendation is to grill it because you bring out the best of its flavour and it is especially delicious. Put them in a frying pan, add a splash of lemon and cured ham, and cook it for at least ten minutes. Yummy!